Sep 05, 2016 Hello, We apologize for the inconvenience. If you contact our service support team at 800-749-4566, a local technician will be happy to come to your home and assess the situation and design a custom solution. It might be true that gutters will not clog but what about the micro-screens? Dirt, pollen and whatever small particles clog the screens and now instead of just cleaning out your gutters you have to scrape the *** off the top and then soak the screens/scrub with a brush and then wash off. So now a job that maybe might have taken 2 hrs to do takes days. Also watch on how they are installed. Mine have been up 4 yrs now and rain water has back up ,due to flashing that was installed improperly, under the shingles and now my roof is leaking . 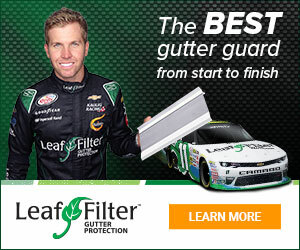 Product or Service Mentioned: Leaffilter North Filter. Review #268067 is a subjective opinion of User268067. We had these gutters installed three years ago and now we might as well not have gutters. Dirt, oil and whatever else have made the micro screen waterproof and water runs over the gutter, not into the gutter. The worst spot in the whole gutter system is right over our front porch so we walk through a waterfall. Detergent and a scrub brush don't seem to work. Thinking of poking lots of small holes through the micro screen.